We sell tickets supplied from trusted Australian re-sellers who we have long standing relationships with. We do not allow one-off or international sellers on The Ticket Merchant. Our customers can be confident that every ticket they buy from us is done safely and securely through our 128bit secure checkout facility. We also provide a 100% guarantee with every ticket we sell meaning you are never at risk at not receiving the tickets you paid for. 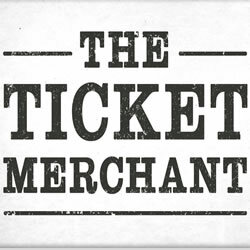 The Ticket Merchant (based in Melbourne) have been in the business of bringing our customers The Best Tickets in Town for almost 10 years. Being locally based, we are available via phone and email 7 days a week. If you have any questions, please don't hesitate to contact us.